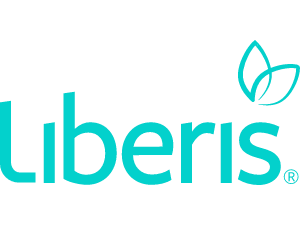 We're Liberis, pioneers of business cash advance in the UK since 2007. It's our mission to liberate lending for small businesses by bringing a breath of fresh air to the industry. We're helping you get access to the finance you need in a simple, business friendly way which is why we have nothing like penalty charges, late fees or fixed monthly payments. In fact, you only pay us when you get paid. We can provide an immediate injection of cash of between £2,500 and £300,000. A business cash advance works by taking a percentage from your credit and debit card transactions. There's one simple cost, agreed up front (no APR). Plus you keep 100% of your cash transactions. We can support any business that has been trading for over 4 months and has been accepting over £625 in credit or debit card payments from their customers per week. We're very popular in sectors such as hospitality, retail, health and beauty and other high street services such as opticians and dentists. Business cash advance works very well for seasonal businesses. You can apply in minutes; online or on the phone and we can give you a decision straight away. Paperwork is minimal and over 70% of applications are approved. If necessary, you can have the money within 24 hours too. Our customers tell us they like the flexible pay back terms, super-friendly service and quick and easy application process. We must be doing something right because we have a 98% Feefo rating and over 80% of customers renew. "I don't even notice the payback coming off my takings at the end of the month. It's completely effortless, because it fits with my cash flow." "The application process was very simple and painless and I received my money within a few days. With other funding types, you have to provide so much information about yourself and your business and still might not get the money, so it's easy to get disheartened. The team were hugely helpful and friendly." "Business cash advance is just right for our type of business. We find it very flexible, quick and straightforward to organise and we get a very personal service from the team. We definitely recommend it to other businesses, especially those in hospitality or other seasonal sectors." Q: What are some fun facts about your office? After outgrowing our previous office, we have recently moved to a new, purposely fit out space just around the corner, complete with London park-themed meeting rooms. The reactions to setting meetings in Hyde Park, Richmond Park, Battersea Park etc. are priceless! We have two pet goldfish in the office called Jaws and Flipper. They just swim around all day, but we still love them.